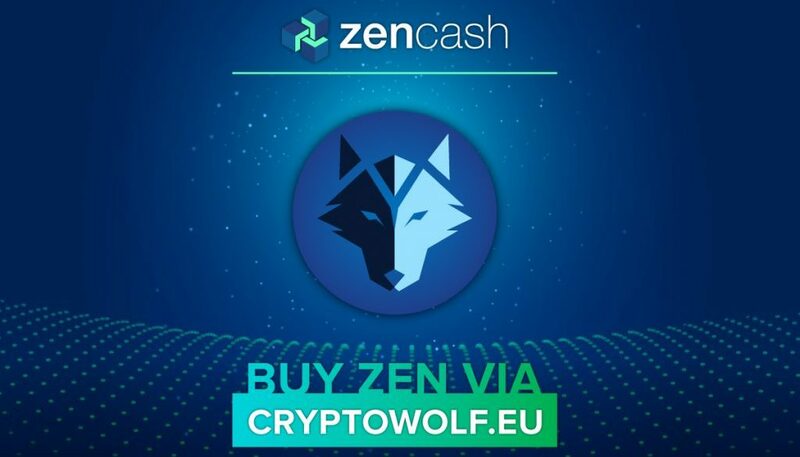 ZenCash is Now Available for Trading on the Cryptowolf Exchange! Cryptowolf is a cryptocurrency exchange based in Greece. With about 1,000 transactions and 12 BTC running through the exchange a day, Cryptowolf is an up-and-coming platform for trading. The exchange supports over 100 cryptocurrencies, including BTC, ETH, LTC, and now ZEN. The exchange is unique because users don’t need to register or input their information anywhere in order to use it. The transactions are processed over an SSL/TLS certificate, which means it doesn’t store any information, making it a secure and anonymous platform. The exchange also doesn’t hold your funds, so your crypto is decentralized and less vulnerable to attacks. The Cryptowolf exchange also tracks down the best exchange rates on the market to ensure you’re making the best trades. The only prerequisite of trading on Cryptowolf is that you will need wallet addresses for the two cryptocurrencies you are trading. Transaction times range between 5-20 minutes depending on the traffic of the blockchain at the time of trade. While the exchange does not support fiat yet, it is planning to start accepting purchases using a credit card starting on April 29. Check out this tutorial Cryptowolf created demonstrating how to use their exchange, and start trading ZenCash today! ZenCash is now traded on OpenLedger! ZenCash Now Available on Changelly! Something suspicious about these guys. STAY AWAY! Have placed a dozen orders and ON EVERY ONE, I had to put in a ticket and it took more than 6 hours Every Single Time. It was all very suspicious. Maybe they are collecting e-mail addresses and public keys, but SOMETHING IS VERY WRONG. I am waiting now for more than 15 hours. This time I did NOT put in a ticket just to see what is going on. Absolutely DO NOT BUY Skycoin From The SKYCOIN SITE USING CRYPTOWOLF, Something is very wrong here. Stay Away. Stay Away. Stay Away! Wrote a review on BitTrust.org.